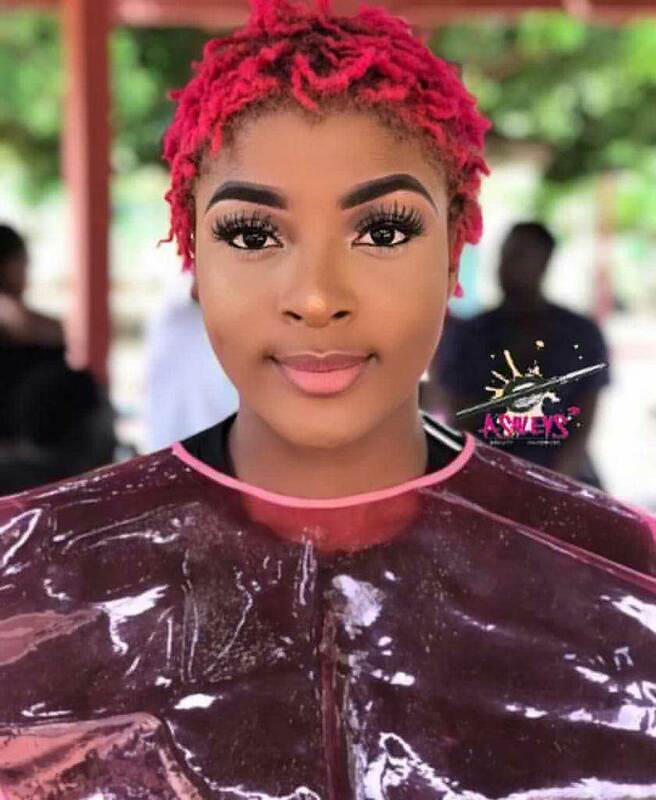 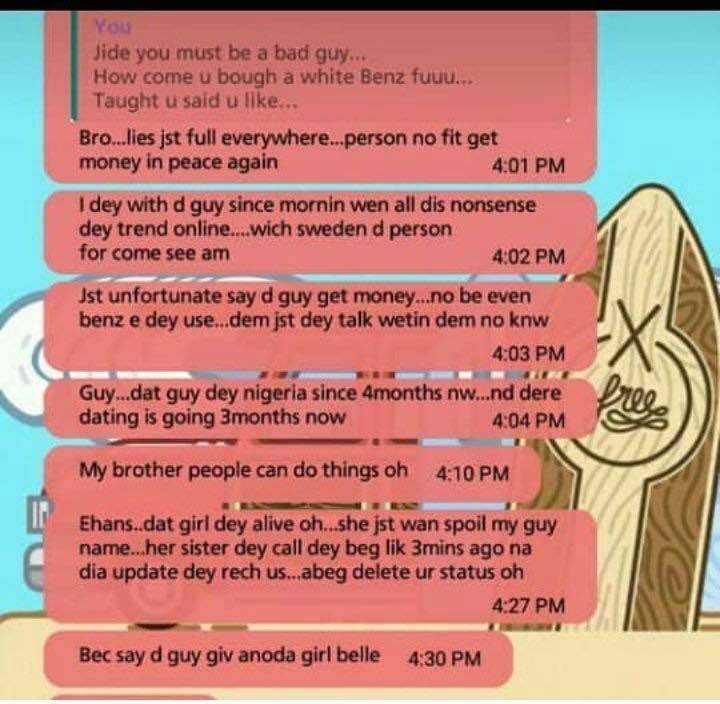 As posted in the previous news, Wendy’s last chat with her friends pointed to the allegations that she was used for ritual purposes by her boyfriend. 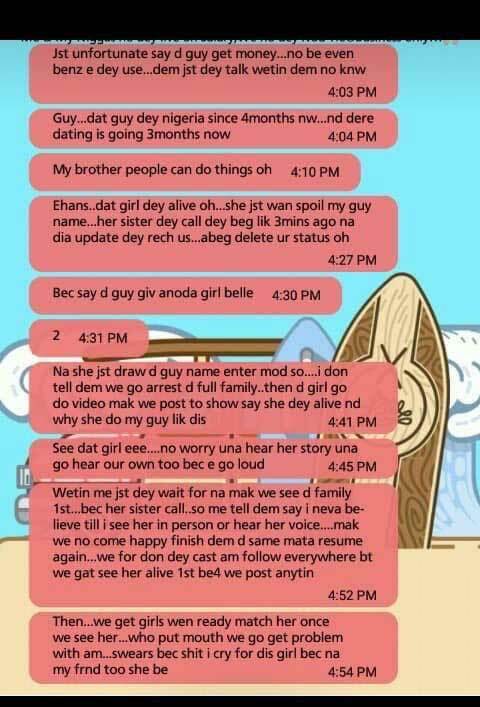 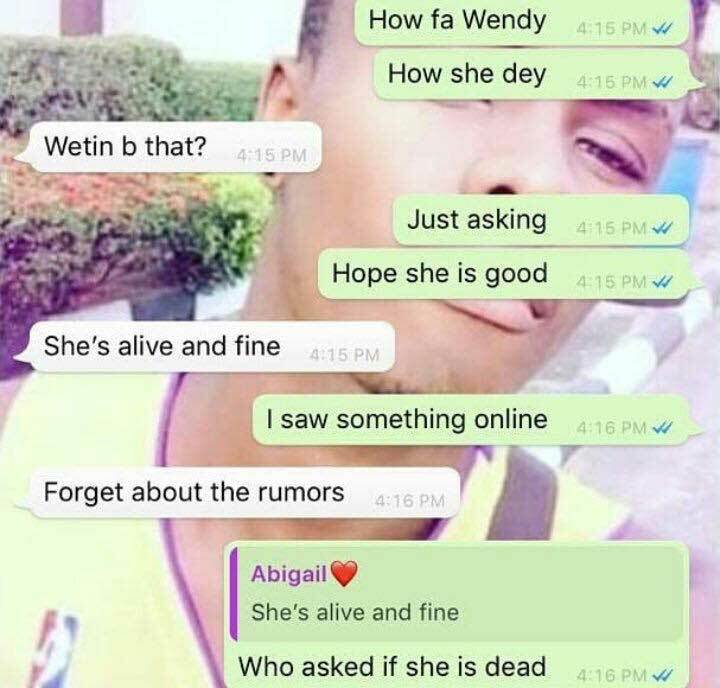 Well, the supposed “Yahoo boyfriend” has finally reacted to the viral online news, revealing that Wendy is not dead; the trending news about her death are all fake. 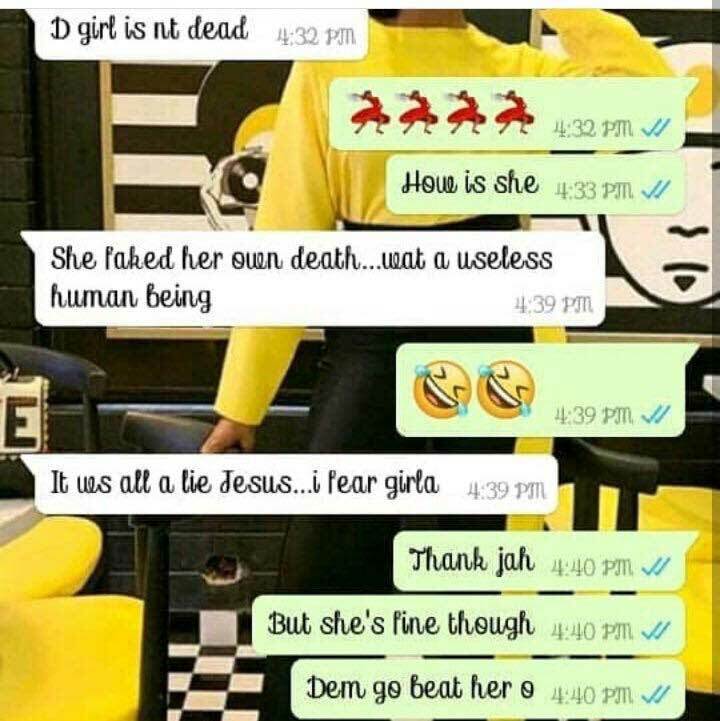 According to the alleged money ritualist, Wendy is very much alive and she intentionally faked her death in order to extort money from having connived with her own family. 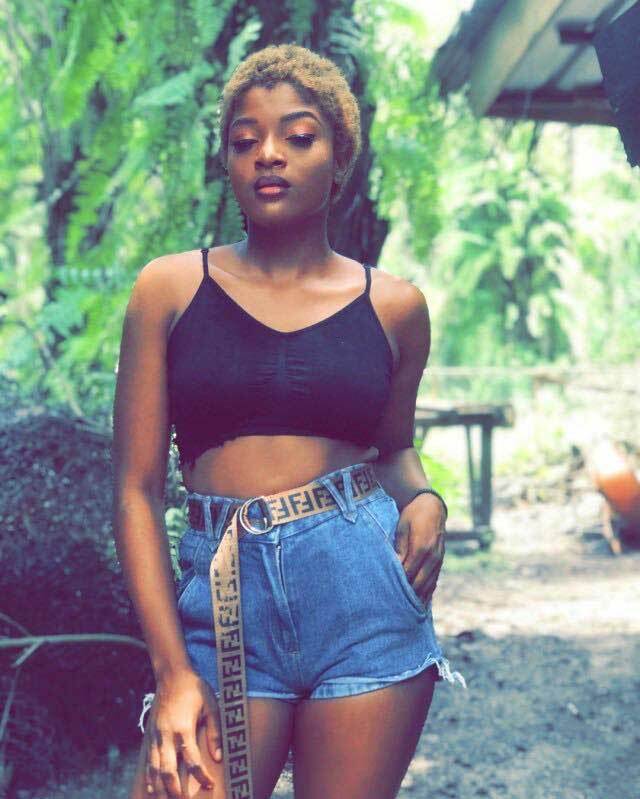 According to reports sighted by Ghanapage.com, the supposed Sakawa boy has impregnated another lady and that Wendy’s goal is not just that of blackmail him, but also to destroy his public image and ruin him on social media networks.